Tamiya 1/16 RC Stay Parts Bag: 56010 Discounts Apply ! 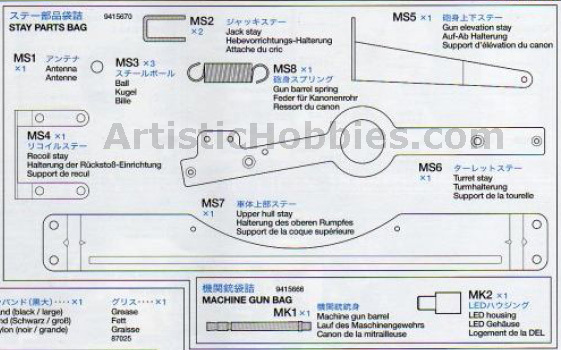 TAM9415670 - Tamiya 1/16 RC Stay Parts Bag: 56010. For Tamiya's Full Option RC Tiger I tanks. This is a direct replacement factory unit.